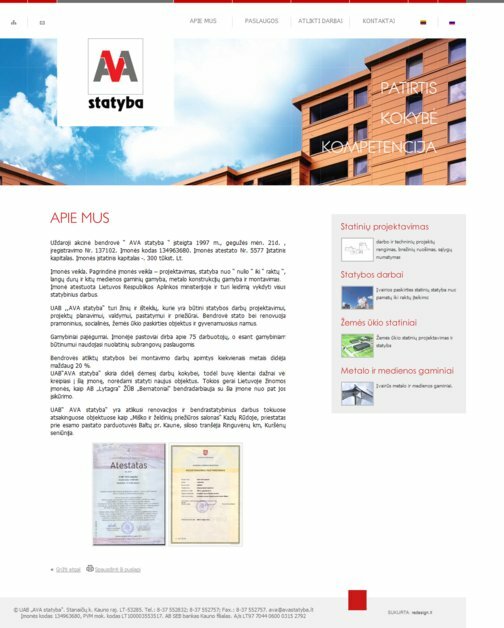 We are a small web development studio situated in Kaunas, Lithuania, Europe. We work hardly and honestly to achieve good results in web development, design, identity, print, search engine optimization and so on. And all that for a reasonable price. We are looking for new clients outside Lithuania, maybe a collaboration with some other web development studios, or any kind of web related busness relationship you may offer. This is a screenshot of our latest work for a construction company. Please visit our homepage to see more of our works.